Phil returns to the 2019 European Le Mans Series with United Autosports and regular co-driver Filipe Albuquerque. 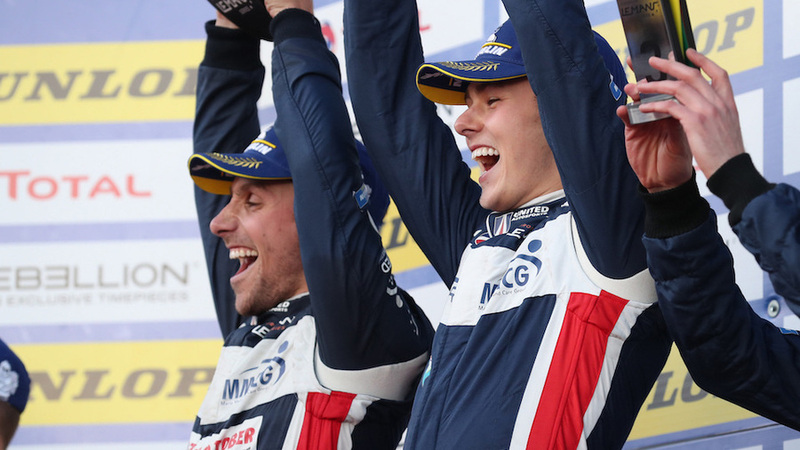 The duo raced together for the first time this year, winning the final two ELMS races – Spa Francorchamps in the wet and Portimão in dry conditions. They ultimately finished fifth and sixth respectively in the final LMP2 Drivers’ Trophy standings while the #22 Ligier was placed fourth in the LMP2 Teams’ Trophy despite a tough start to the season. The 2019 season will mark Phil’s second year with the team having become the youngest ever ELMS race winner at Spa in September. Phil will also race with the team as they make their Asian Le Mans Series début later this month, Phil joined by his 2018 IMSA and Le Mans 24 Hours team-mate Paul Di Resta. The 2019 European Le Mans Series begins at Paul Ricard with the official Prologue in April, with the first round beginning that weekend (14 Apr). The series then visits Monza (Italy), Barcelona (Spain), Silverstone (UK), Spa Francorchamps (Belgium) and Portimão (Portugal). Phil switched to sports-prototype racing in October 2016 having won the Dunlop Endurance Championship driving an Audi R8 LMS that year – his first year of car racing after two seasons in karts. He won on his LMP3 race début, victorious in the British LMP3 Cup at Snetterton, before going on to claim the 2016-17 Asian Le Mans Series LMP3 title – the youngest Asian LMS champion – after scoring three podiums in the four-race series that included two wins. He moved up to LMP2 last year, contesting three FIA World Endurance Championship races (Spa-Francorchamps, Le Mans and Nürburgring) plus three European Le Mans Series races (Silverstone, Monza and Red Bull Ring). Phil is the youngest overall finisher in the history of the world-famous Le Mans 24 Hours, finishing 11th overall in 2017. Despite his success, Phil has just 20 sports-prototype races to his name (LMP2 & LMP3) – 15 of these being LMP2.